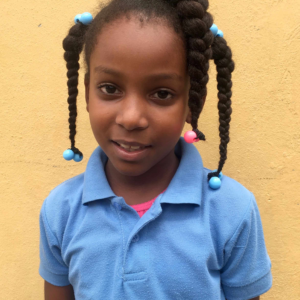 Anyerlin Rodriguez Brito is 8 years old and in the Fourth Grade at the public school in La Represa. She lives with her parents, aunt, sister, and brother. She enjoys playing with balls, swimming, and playing hide-and-seek. When she grows up, she wants to be a math teacher.